Begin the New Year with a New You with "Success Hypnosis"! 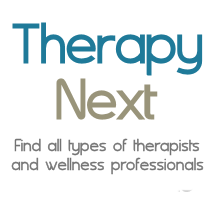 Solution-Focus & Re-directional Therapy! Find Answers NOW ! Alice specializes in showing clients how to overcome compulsive/ binge/ emotional eating, overweight, anxiety, body image and life’s stressors, strengthen marriage and family, and improve personal & family nutrition. She personalizes every care plan, uplifts and helps you build your success tool kit so you can feel happy, healthy and fulfilled. Let Me Help You Become the BEST you - you can be! Evening and Saturday Appointments Also Available! Let me help you to be the Best YOU ~that you can be! Don't wait get Counseling Now! I am a certified eating disorder therapist and a licensed chemical dependency counselor practicing in the Dallas area for over 25 years. So many addictions are interwoven into one another, a person recovers from one addiction and goes promptly into another addiction. I believe in treating a person and looking into all addictions that can affect ones total recovery. Anxious? Depressed? Wanting to Make a Change? Call Now to Set Up a Consultation! "It's never too late to be the person you wish to be." I am a firm believer of this, and I can help you become the person you wish to be. Together we can work to improve your problem situations and circumstances. You will learn useful tools and techniques to alleviate or possibly eliminate your stressful problems. You will learn healthier thinking and coping skills.